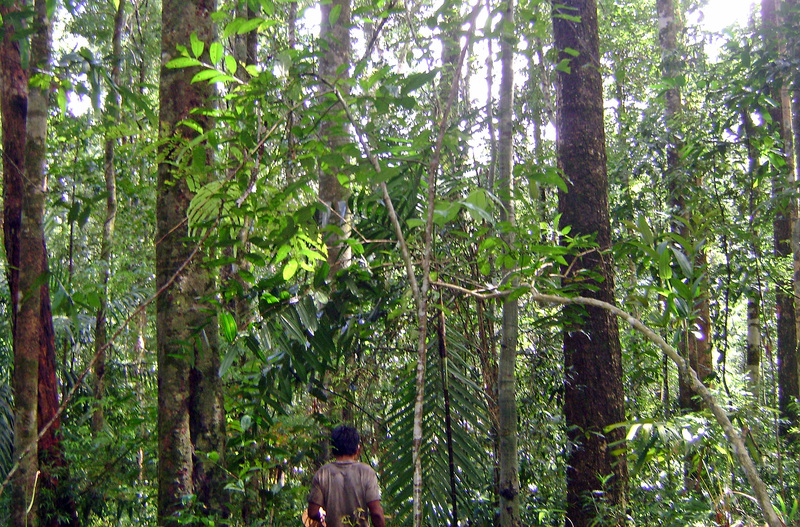 In 2011, the world’s first FSC-certified rattan forests premiered in Laos. Three years later, WWF and its partners have encored with the certification of two more rattan forests in central Laos. 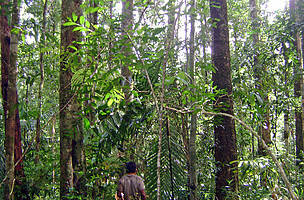 In 2011, the world’s first FSC-certified rattan forests premiered in Laos. Three years later, WWF and its partners have encored with the certification of two more rattan forests in central Laos. This success, together with changes in the scope of the FSC group scheme for rattan and other state-owned natural forests in Laos, brings the total area of certified rattan forests to 33,392 hectares (ha)1. At the same time, marketing of FSC-certified rattan products has taken a big step forward with a third order from Swiss retailer Coop for rattan baskets worth almost USD 30,000. “The FSC-certified rattan forests are managed in such a way as to contribute to both community development and forest conservation. A clear benefit-sharing system has been set up with the consensus of villagers, under which rattan harvesters agree to contribute 17% of their income to community projects and forest management,” said Ms Bouavanh Phachomphonh, WWF-Laos’s Rattan Project Manager. 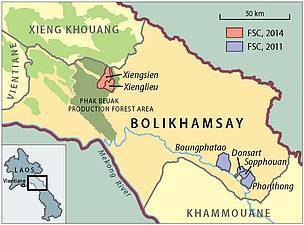 The newly certified rattan forests lie in the villages of Xiengsien and Xienglieu in the central province of Bolikhamsay (see map). They form part of a larger block of natural forest, the Phak Beuak Production Forest Area, which sits on the south-eastern side of a production forest complex stretching north into Xieng Khouang province and west into Vientiane province. 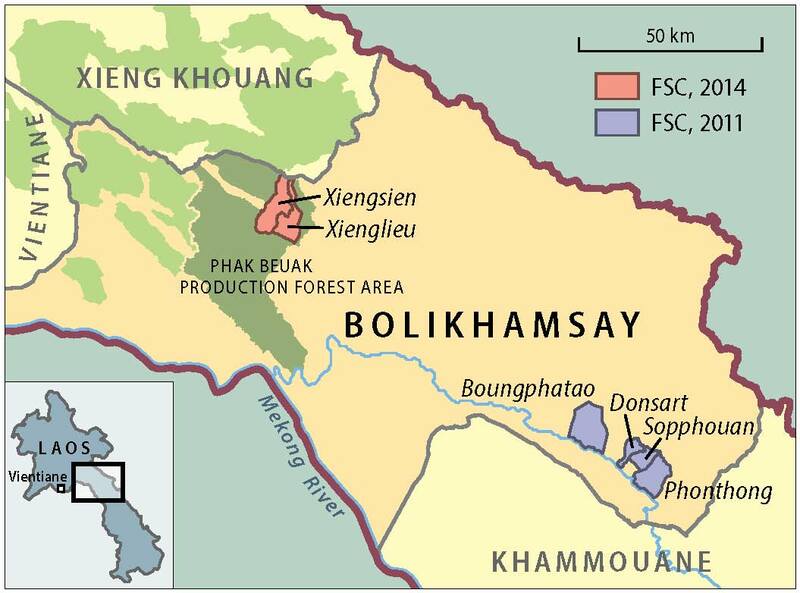 Although Xiengsien and Xienglieu have rattan forest management plans covering 4,585 ha, the entire area of each village (totalling 13,195 ha) has been included in the scope of the FSC group scheme run by Laos’s Department of Forestry. A similar change to the four rattan forests certified in 2011 means that of the total certified area of 33,392 ha in six villages, 5,727 ha are under a management plan. The rest consists of settlements, roads, farmland, and other forest and vegetation types. This change in scope aims to prevent contamination of FSC-certified material with non-certified material from elsewhere in the village. In practice, however, villagers and district forestry officials ensure that rattan is harvested only from areas under a management plan. Xiengsien, Xienglieu and another certified village are supplying the raw rattan canes for the Easter baskets ordered by Coop. These canes will be cleaned and split by the Danlao company, a CoC-certified rattan products manufacturer in Vientiane province. The baskets themselves will be woven by villagers from three villages in Bolikhamsay province, under supervision by Danlao and WWF. Finally Danlao will arrange shipping to Switzerland, where the baskets will go on sale in spring 2015 under Coop’s Oecoplan label for eco-friendly non-food products. The revenues from the order will be shared by Danlao and the participating villages. WWF’s support for sustainable rattan management in Laos, and for linking rattan producers to global markets, began in 2006 and will continue until at least 2017. It is now working with villagers and officials in Bolikhamsay to add another 8,405 ha of rattan forest to the FSC group scheme. And, to ensure the sustainability of the rattan supply chain, WWF is helping companies such as Danlao strengthen their capacities in design, marketing and export. Looking ahead, it plans to work with villagers to cement rattan as a viable livelihood by setting up handicrafts groups and cooperatives. 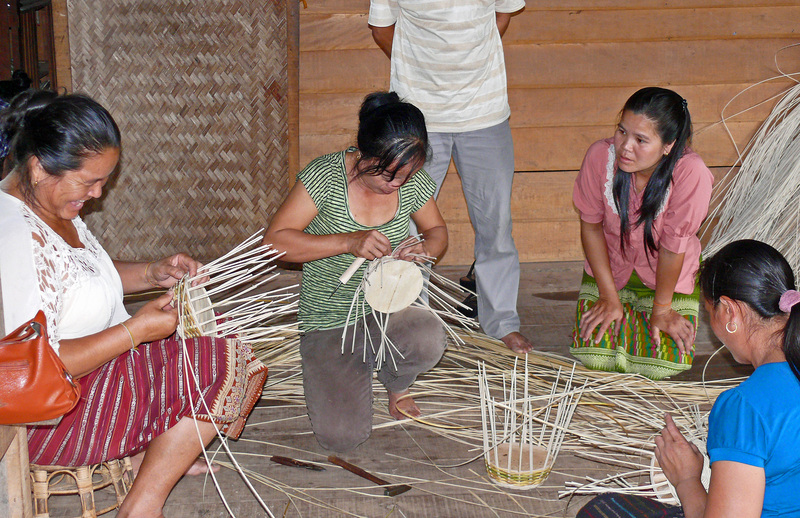 The current phase of WWF’s rattan project in Laos is supported by IKEA, the German Investment Corporation (DEG), the Swiss Agency for Development and Cooperation (SDC), and the Swedish International Development Cooperation Agency (SIDA). Lao partners are the National Agriculture and Forestry Research Institute (NAFRI), Department of Forestry (DOF), provisional and district forestry offices, and communities in target provinces. For more information, please contact: Bouavanh Phachomphonh, Rattan Project Manager, WWF-Laos, bouavanh.phachomphonh@wwfgreatermekong.org. 1 Rattan areas account for just over a quarter of the total area of 132,162 ha covered by the FSC group scheme for state-owned forests.